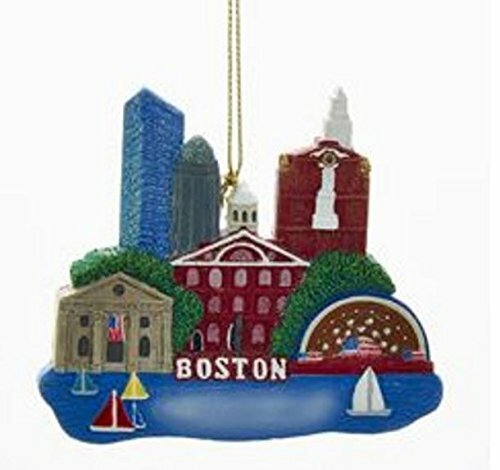 Celebrate the historic city of Boston, Massachusetts with this collection of cool Boston-themed Christmas ornaments! 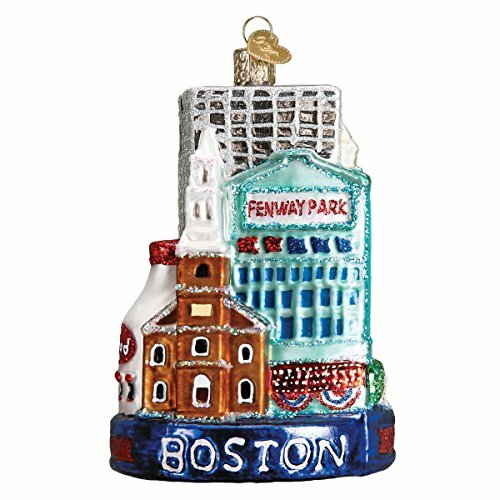 Are you looking for unique Christmas tree ornaments to showcase your love of Boston, Massachusetts? 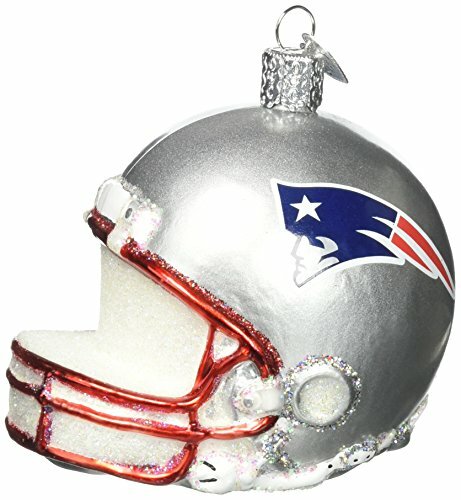 Or perhaps know someone from Boston you'd like to buy a special decoration for? Then you'll find plenty of options here! 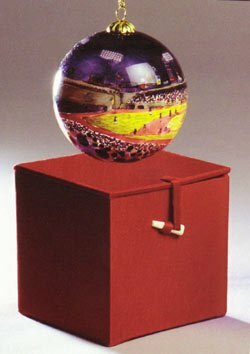 These ornaments celebrate everything about the historic city, from its sports teams and universities to well known landmarks. You'll find them available at Amazon, college bookstores and more...and starting here you can easily browse through these many selections while learning a little bit about Boston, too! Celebrating the most recognizable buildings, sites and landscapes of the great city of Boston. 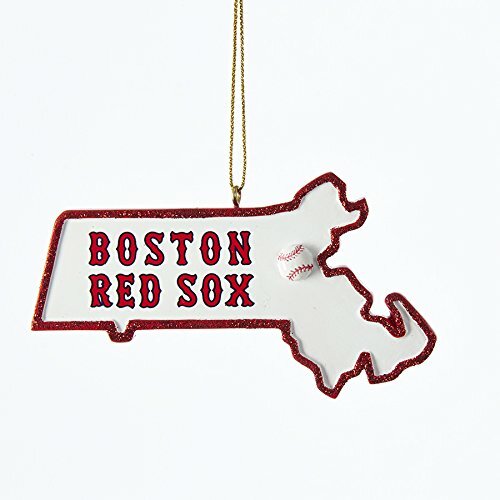 If you want just one ornament to celebrate this great city, then you really can't go wrong with this one. 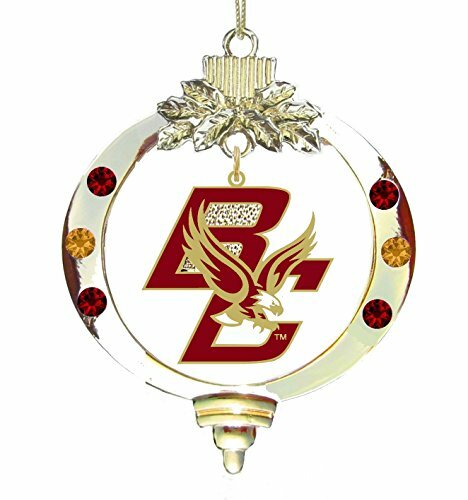 Beautifully detailed, colorful, and large (5" in height), this glass ornament by Kurt Adler is perfect to commemorate the city. 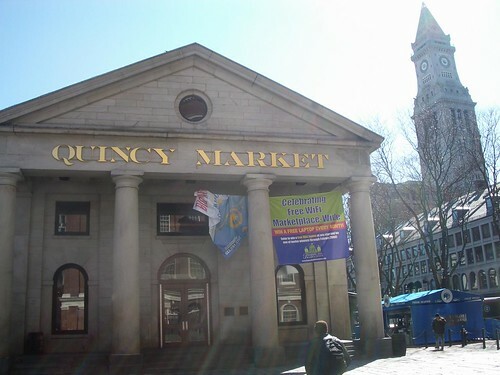 It features a number of easily recognizable landmarks of the city: Quincy Market at Faneuil Hall, the Boston Waterfront, the Customs House, the Prudential Tower, and more. The imagery is different on the front and back sides for a full wrap-around effect. Boston Skyline from Memorial Drive. 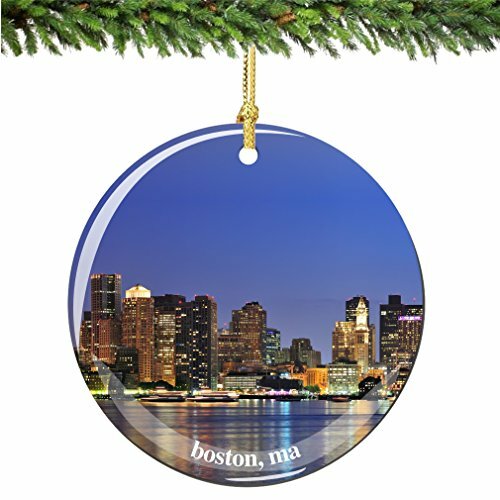 These three ornaments also celebrate the recognizable skyline and unique sights and scenes of the city of Boston - which is both the largest city in and the capitol of the Commonwealth of Massachusetts. 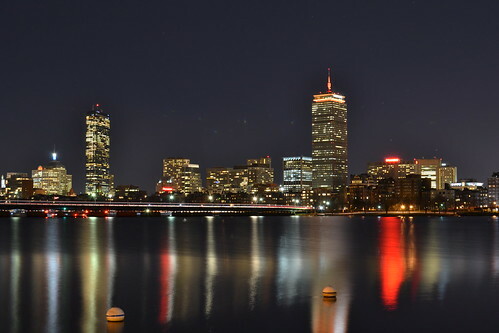 Boston is the largest city in all of New England, and the 24th largest city in the United States. You can learn more about the unique and storied history of Boston at Wikipedia. 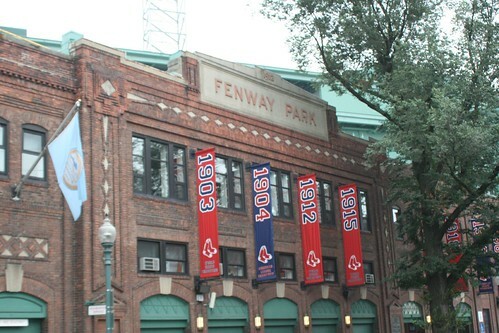 Fenway Park is home to the Boston Red Sox baseball team - and one of the most famous structures in all of the city. This landmark baseball stadium opened in 1912 - over 100 years ago! That makes it the oldest and thereby most historic baseball park in all of Major League Baseball. It is also one of the smaller stadiums still in existence today (4th smallest in MLB by seating capacity), giving it a unique and still very intimate feeling for fans. 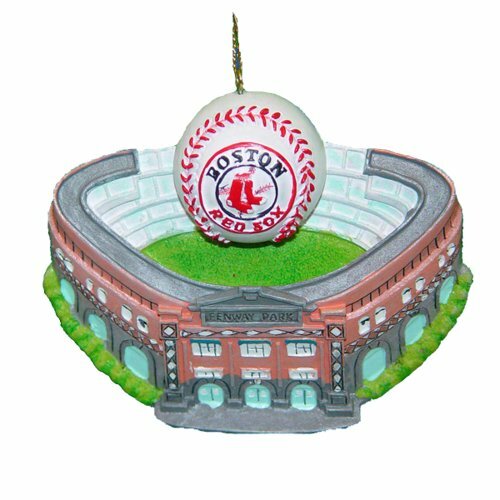 All of the above makes Fenway Park the perfect landmark to celebrate Boston in a themed Christmas ornament. There are several designs available to chose from as shown above, from traditional round painted balls to intricate shaped ornaments. These are perfect for baseball fans and Boston-lovers alike! 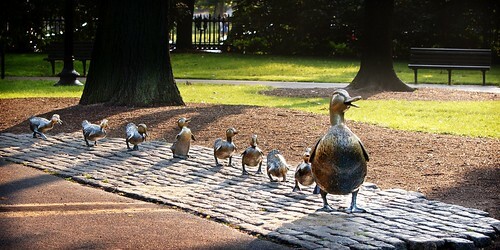 Everyone in Boston knows and loves "Make Way for Duckings", the classic illustrated children's book first published in 1941 by Robert McCloskey. It tells the tale of a pair of mallards who decide to nest and raise their family of ducklings on an island in the lagoon at the Boston Public Gardens. This is the official childrens book of the Commonwealth of Massachusetts, commemorated in a statue now in the Gardens. You can also think back fondly on the story, or introduce it to a new generation, with this colorful Christmas ornament. 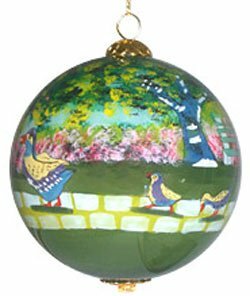 Each ornament is carefully hand-painted, making it a true one-of-a-kind collectible. 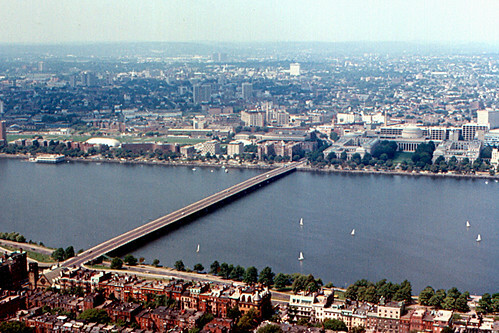 I went to college at M.I.T., just over the river Charles River from Boston, from 1990 to 1994. So I have a strong connection still to this day to the city of Boston thanks to all of the time I spent in and around the area. It's a great city with something for everyone: sports fans, students, history buff, food lovers, music fans...but I will say that one thing I don't miss about Boston is the Winter weather! Those snow storms really could be brutal! So when I do revisit I try to go in the warmer weather months, and I still enjoy spending time in the city that was so important to my formative years. One of the things that makes Boston so unique is that the area is home to so many institutions of higher learning - 53, to be precise. They range from, of course, Harvard University (the oldest institute of higher learning in the United States) to special interest colleges like the Berklee College of Music. These many schools contribute to the culture and diversity of the city in many ways. 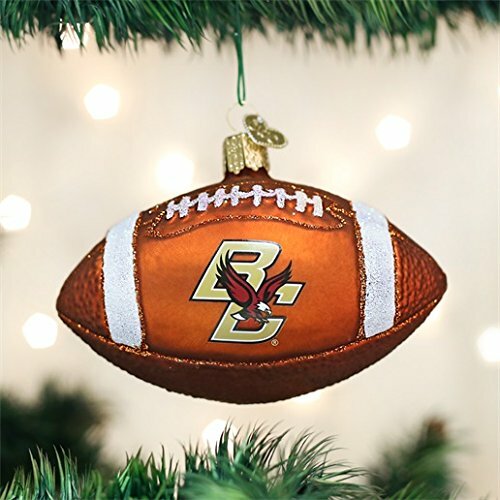 The ornaments below are great for showing school pride. Whether you went to a school in Boston or have a child/grandchild who did, these are great for celebrating the many schools in and around the Boston area. Boston College is located in Chestnut Hill, just 6 miles west of downtown Boston. It is home to 9,100 undergraduate and nearly 5,000 graduate students. The school's sports teams are named the Eagles and the team's colors are maroon and gold. The school was established in 1863, giving it a long history in the Boston area. UMass Boston is the only public university in the city of Boston, and the third largest campus in the statewide University of Massachusetts system (which also consists of campuses in Amherst, Darmouth, Lowell, and the Medical School. UMass Boston was established in 1964 and today has a student body of over 16,000. 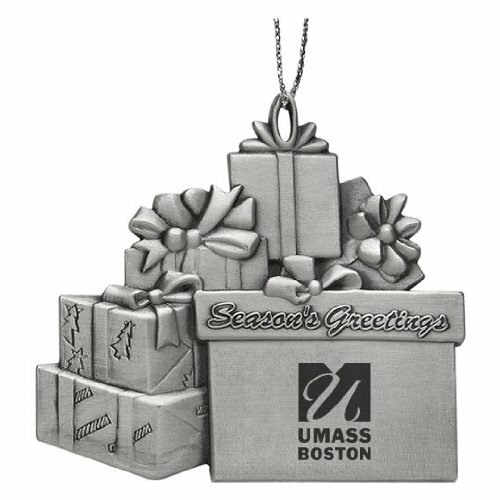 Large selection of Christmas ornaments celebrating both Harvard and the Massachusetts Institute of Technology, both campuses located in nearby Cambridge, MA. Several ornament styles are available celebrating this private university founded in 1898. Suffolk was founded in 1906 as a law school, with its main campus in the Beacon Hill neighborhood. Ornaments commemorating Tufts University, located in Medford/Somerville just outside of Boston. Boston is a city with a lot of passion and pride for its home sports teams. 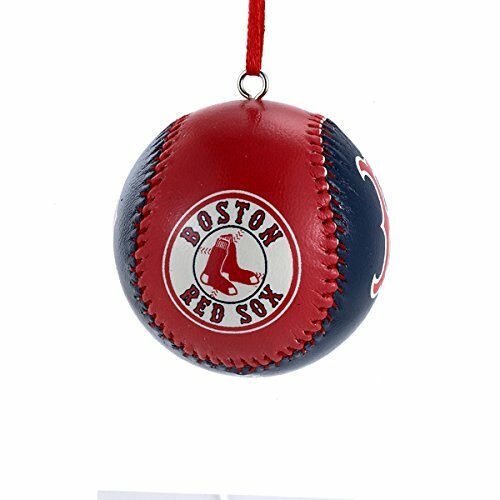 Baseball, football, hockey, basketball...all the local teams are much beloved and you'll find ornaments that celebrate each of them in team color and style. 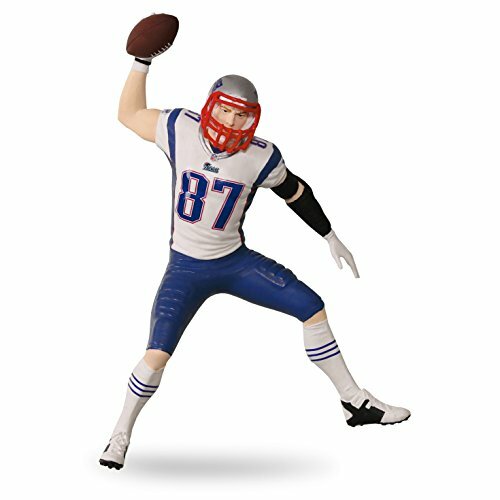 Football fans in Boston - and throughout New England - are plenty proud of their football team, the New England Patriots. 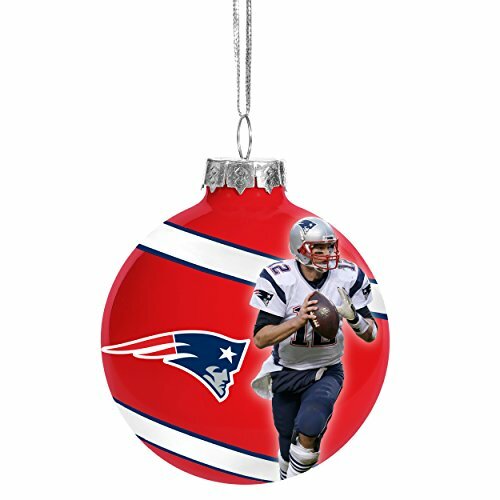 So show off your Patriots pride with some of these cool Christmas ornaments! 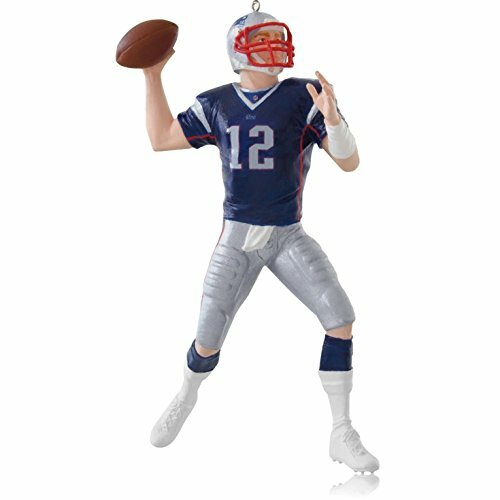 New for 2014 - A collectible ornament celebrating quarterback Tom Brady! One of the most popular and successful quarterbacks in recent NFL history, Brady is loved around the world (deflategate or not), not just in New England and Boston! The Patriots team was established in 1955. They changed their name from the Boston Patriots in 1971 after the team relocated to the Foxborough suburb of Boston. The team is one of the most successful in NFL history, at least since the hiring of head coach Bill Belichick in 2000. They have appeared in eight SuperBowls. Their primary rivalries are against the New York Jets, the Baltimore/Indianapolis Colts, and the Baltimore ravens. 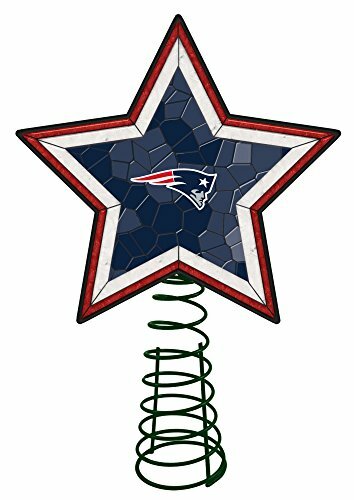 Take your love of the Patriots even higher - top your Christmas tree with this colorful star! It features the Patriots logo in a glass design. 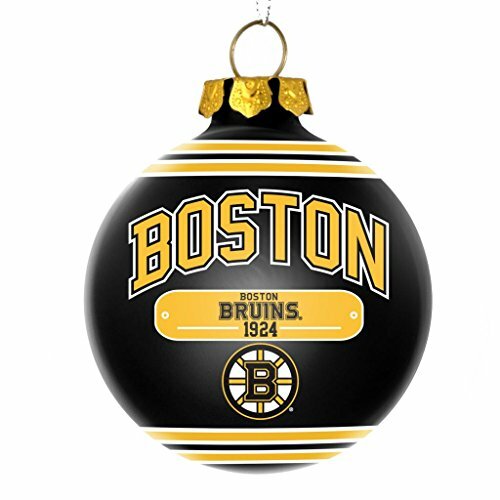 These great ornaments are a perfect way to celebrate the 2011 Stanley Cup winning team. 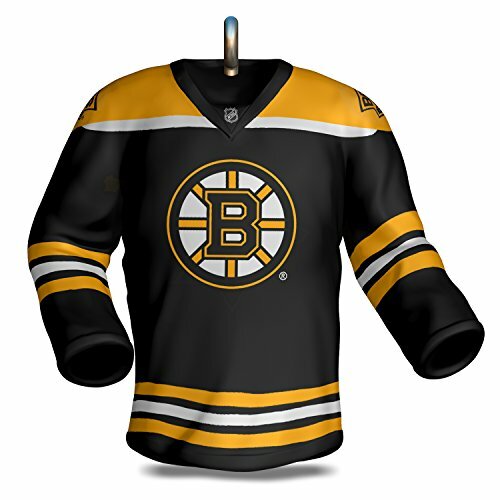 The Bruins are the third oldest NHL hockey team in the league, founded in 1924. 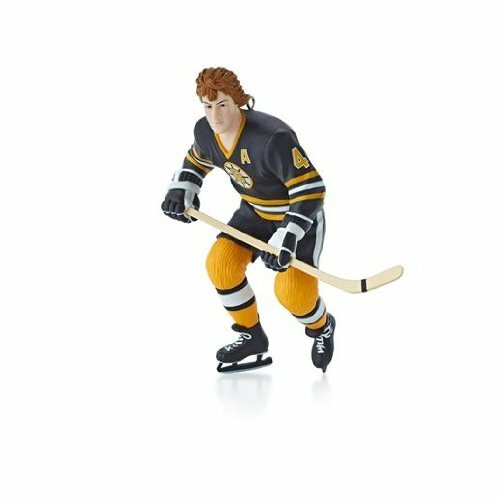 Another legendary Boston sports figure commemorated in a collectible ornament design by Hallmark. 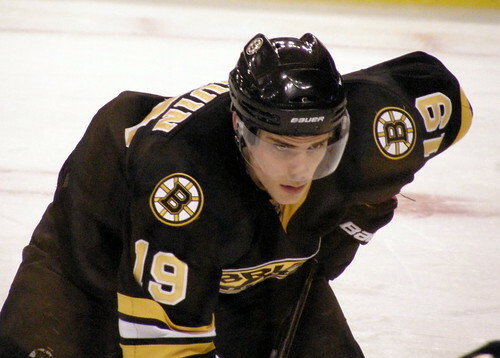 Bobby Orr played for the Bruins for 10 seasons and is widely recognized as one of the greatest hockey players of all time. 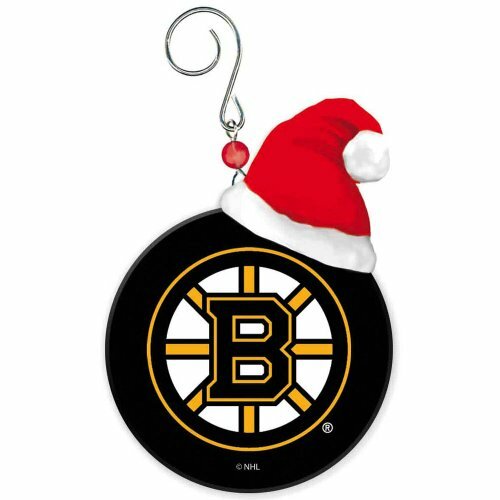 These are just a few of the colorful and fun Bruins ornaments available...check on Amazon and you'll find plenty more, but these are a few of my favorites. The 8-time World Series Champion baseball team is much loved throughout Boston. 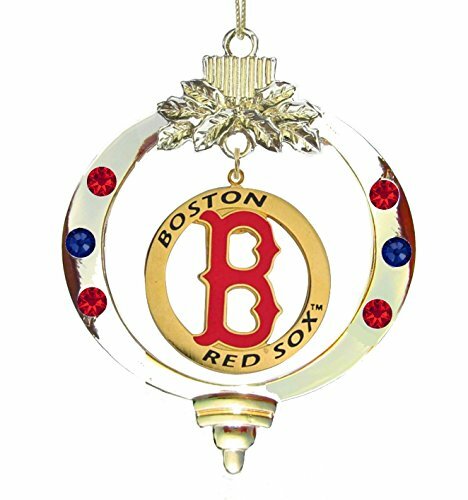 A Boston-themed Christmas tree just wouldn't be complete without some Red Sox ornaments, especially as they just won the World Series again in 2018! After winning the World Championship in 1918, it would be an 86-year wait before their next world champion title in 2004 - one of the longest droughts in professional baseball history! Their rivalry with the New York Yankees is one of the fiercest in North American sports. 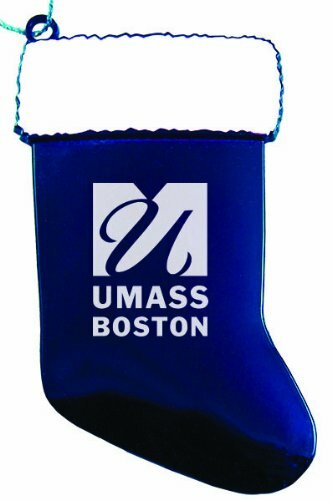 Commemorative ornaments and jewelry to proclaim yourself as "Boston Strong" and a supporter of the city. 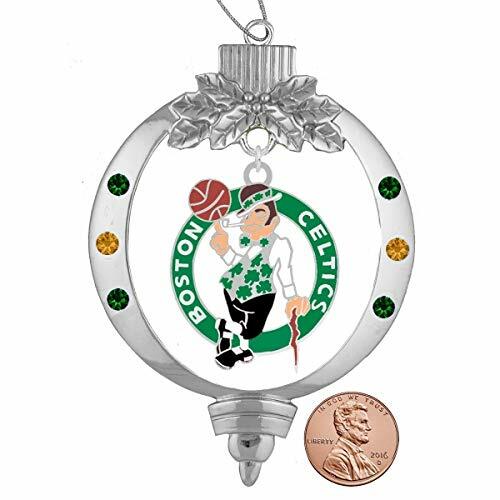 Celebrate the Christmas season in 2014 & Shop Boston Christmas ornaments. 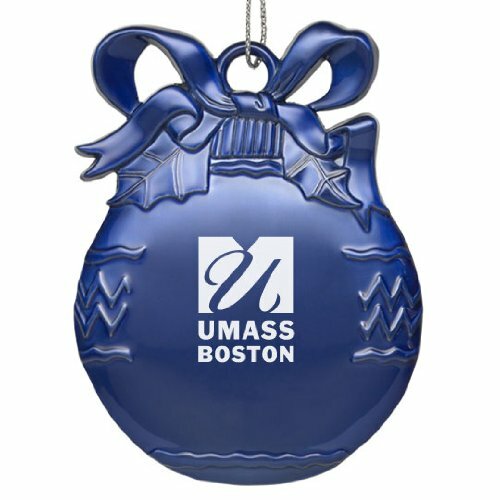 Large selection of unique decorative Boston Christmas designs, or personalize your own ornament! 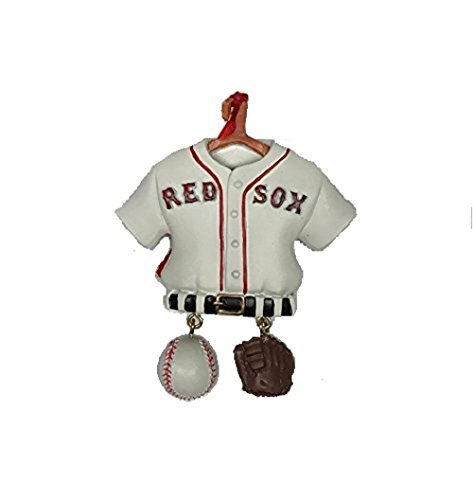 Find unique, handmade ornaments on Etsy celebrating Boston sports teams, history and landmarks. 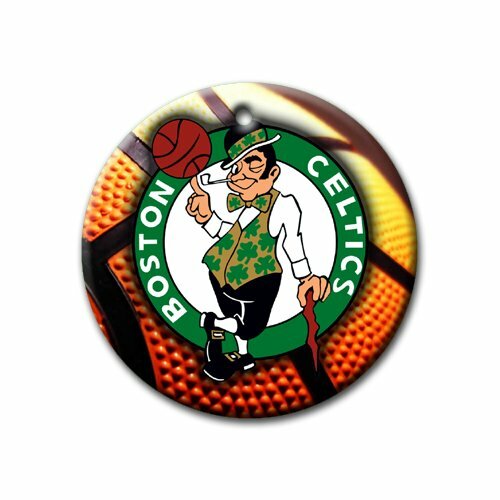 Browse through our selection of Boston City Christmas ornaments for your Christmas tree decorations. 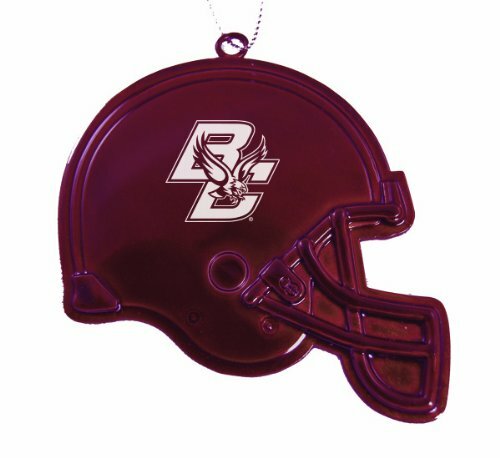 Start a new holiday tradition with our keepsake ornaments! 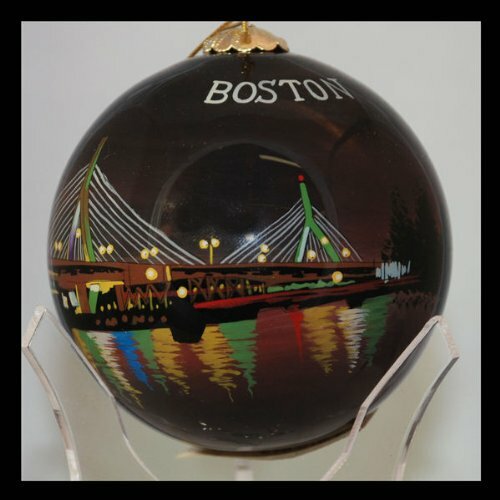 MBTC offers a unique collection of hand-painted ornaments of Boston and the surrounding area. Neat selection. I like the red socks ornament, so cute! Celebrate the City of Brotherly Love (and Sisterly Affection!) with these fun and unique Christmas ornaments. Celebrate the Garden State with this fun collection of New Jersey-themed Christmas ornaments. Whether you love the Shore or our Jersey sports teams, there's something for everyone!